#MeToo has been getting a lot of headlines lately. At the Institute for Crisis Management, we track the numbers and types of crises that befall organizations of all kinds. I will be speaking at the Public Relations Society of America’s International Conference in Austin next week about how employees and executives behaving badly- from sexual harassment to white collar crime- negatively impact the brand, reputation and bottom line of organizations. Elon Musk is apparently being fined $20 million (and Tesla also $20 million)and losing his job as Chairman of Tesla following some ill-considered tweets about taking the company private. Papa John’s Pizza saw 32% of their valuation evaporate after former chairman and CEO John Schnatter made numerous comments that were poorly received by stockholders. He was forced out of the company he founded earlier this year. CBS lost $1.5 billion in stock value after the Les Moonves sexual harassment scandal went viral. Moonves was fired and he will forfeit up to $60 million of his severance if the allegations prove true. Weinstein and Company filed for bankruptcy a few months after Harvey Weinstein was accused by numerous women of sexual assault, prompting criminal charges. The #MeToo movement was born out of this scandal. Uber lost $4.46 billion last year after several scandals about Travis Kalanick and toxic company culture went public. Kalanick was also forced out. In ICM’s most recent annual report, crises caused by various kinds of bad behavior accounted for the vast majority of the more than 800 thousand stories we tracked. Categories included in this number include things like discrimination, sexual misconduct, executive dismissals, mismanagement, white collar crime, and whistle blowers, among others. According to data from consulting firm PWC, CEOs and executives are more likely than ever before to be dismissed over ethics-based scandals or improper conduct. The impact to the bottom line can be devastating. For example, in 2017, the top ten discrimination settlements in the US totaled $2.72 Billion, a billion more than the previous year, according to law firm Seyfarth Shaw. The top ten. This year, we are seeing an explosion of stories about sexual misconduct. In 2016, we tracked 3,269 stories about sexual misconduct. Last year the number almost doubled to 5,598. So far this year, we’ve counted more than 6,600 stories. When we searched just on the #metoo hashtag, however, we found more than 40 thousand stories! The chart above shows the #metoo story explosion in September driven mainly, I believe, by the Brett Kavanaugh Supreme Court hearings. Yet, according to a recent survey, #metoo has not changed much in board rooms across the nation. Fifty-seven percent of boards surveyed earlier this year said they still have not discussed sexual misconduct in the workplace. 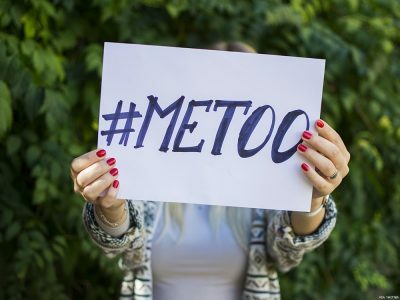 Companies need to have strong controls in place to identify, investigate and address allegations of sexual misconduct and harassment in the workplace. All allegations need to be taken seriously, with each investigated in a thorough and unbiased fashion. They should expect shareholders to react when they hear the news, up to and including litigation against the company and its board. Public communications must be carefully managed to avoid exacerbating the crisis. A lack of sensitivity to the nature of the issue or the appearance of favoritism in initial communications can backfire badly. And yet still to this day, only about half of all organizations have a crisis communication plan in place. At the same time, organizations are more complex, the speed of business is increasing, government investigations are on the rise, shareholder litigation has increased and the changing social contract is driving anxiety, mistrust and divisiveness. Organizations, and especially boards of directors that fail to recognize and address the urgent need for crisis planning and preparedness will pay for their lack of oversight in real dollars. And much more. Does your organization need to get prepared? Contact ICM today to get started and prepare and prevent, so you won’t have to repair and repent.